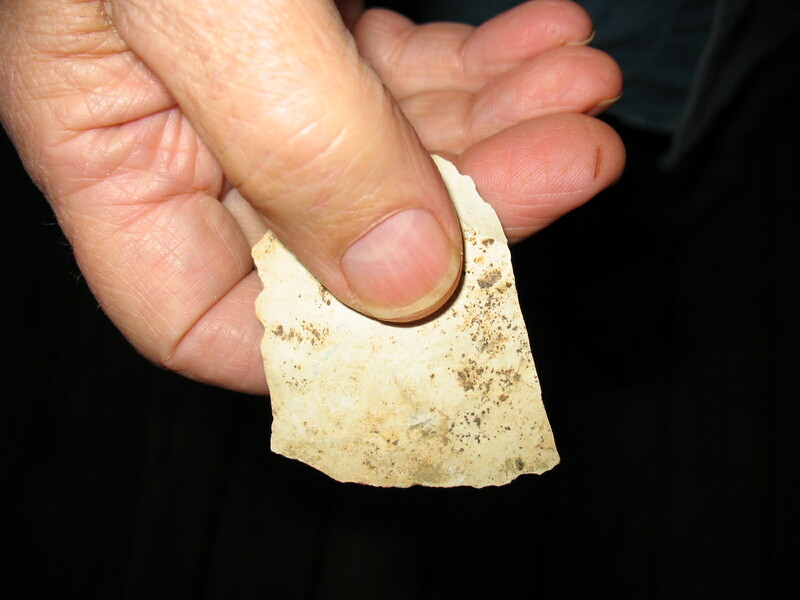 Flint or chert can be used to make a nice scraper. A scraper is used to smooth a surface or to remove small amounts of material from wood or bone. 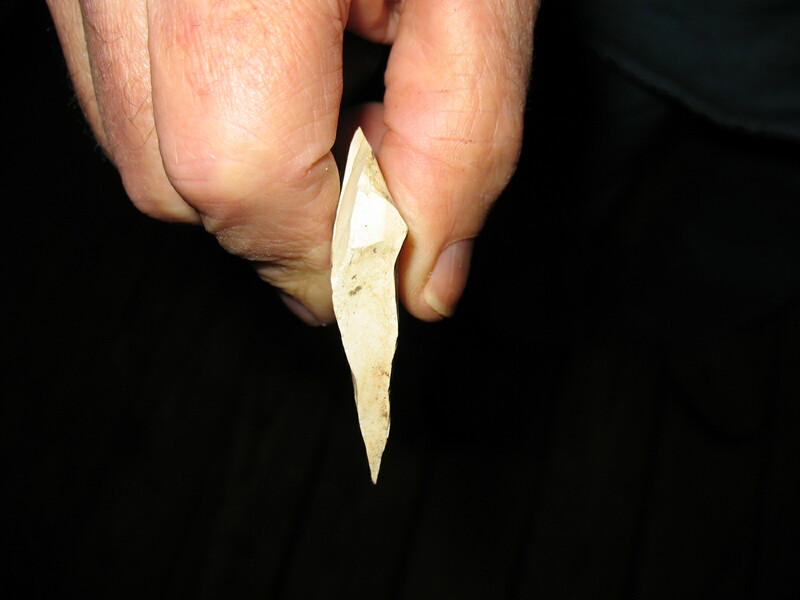 Scrapers are also used to remove flesh and hair from hides to make rawhide or to prepare hides for tanning. The blade of the scraper is held at a ninety degree angle from the surface being worked. 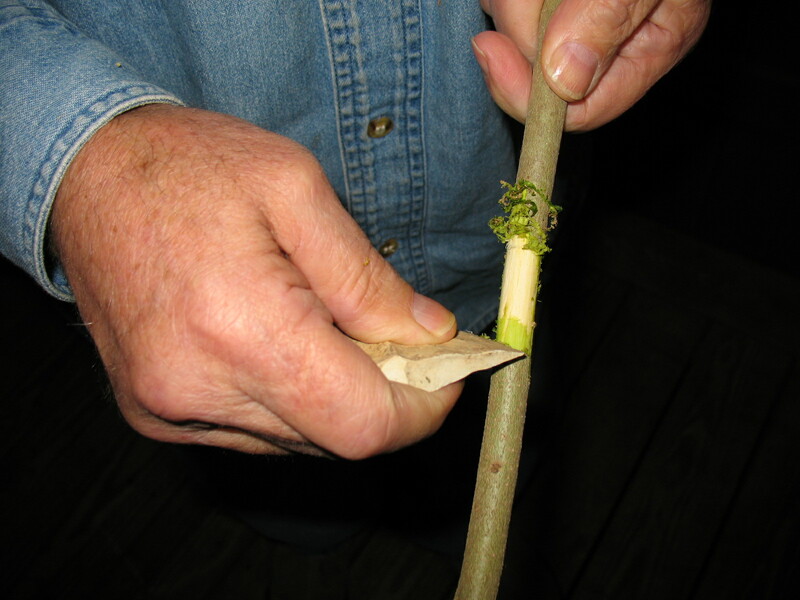 All you have to do to make a scraper is knock a good flake off of a piece of flint, chert, or even glass. 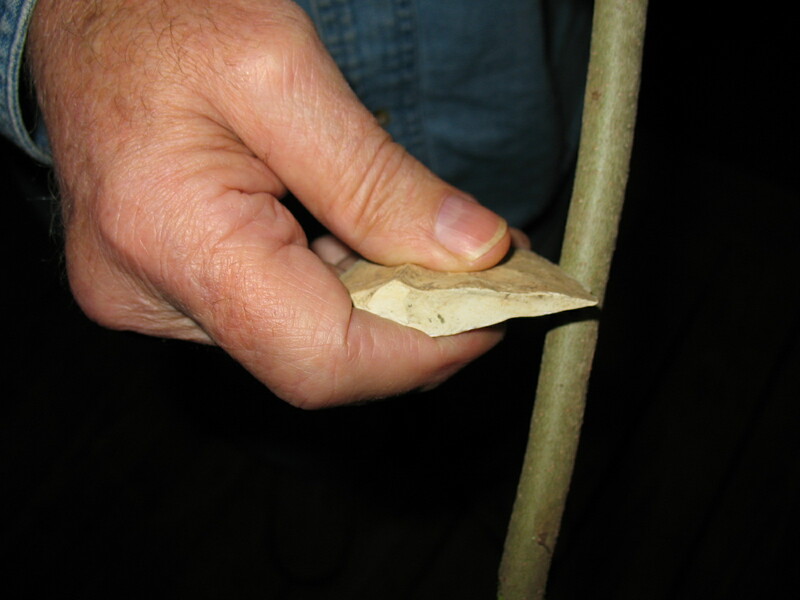 If you have already made a hand axe you will probably have several flakes that will work as scrapers. 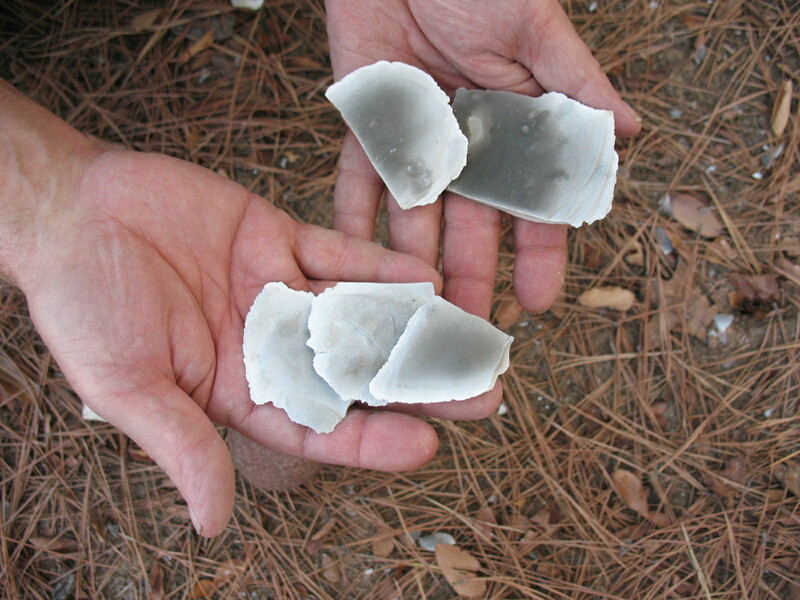 Pictured below: top, flakes that were produced while making a hand axe; middle, front view of scraper made from Arkansas flint; bottom, side view of the same scraper. Scrapers can be large or small depending on the job at hand. One word of caution about scrapers; you do not want the blade to be too thin. A thin blade will crumble or break when you use it. 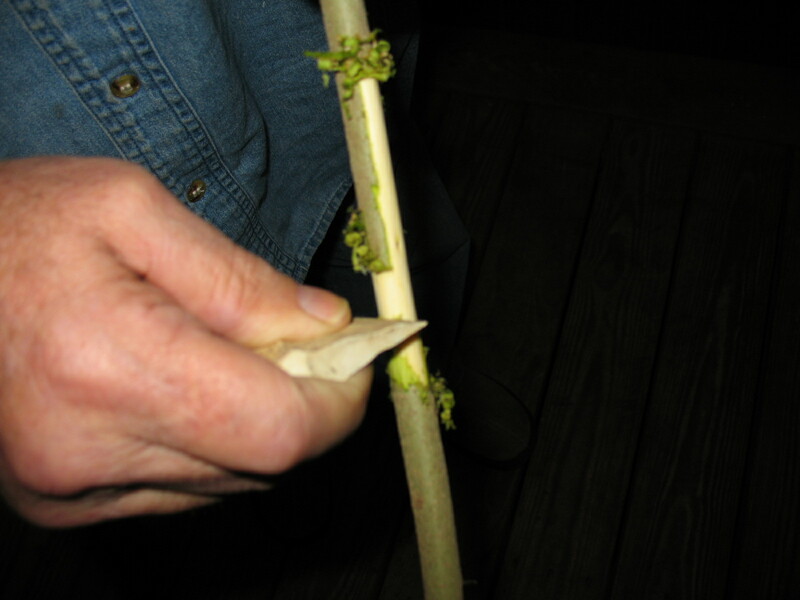 Pictured below; series of pictures showing the scraper being used to remove bark from a yaupon holly stick. In the next post we will learn how to make a stone hand saw.